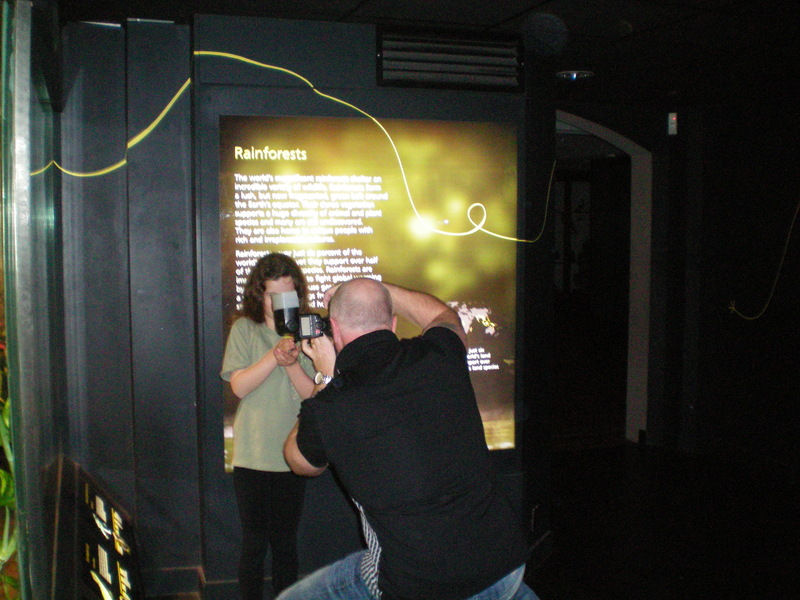 On Wednesday we (my family and I) went to the Manchester University Museum for the big launch! And GUESS WHAT? The Costa Rican ambassador, His Excellency J. Enrique Castillo, and his wife were there!!! Unfortunately David Attenborough couldn’t make it! However I was presented with a specially framed photo of him with my frog which was inscribed: “I wholeheartedly support Manchester museum’s campaign headed by Lucy Marland”!!! And then he had signed it!! It was really exciting, the ambassador was really nice too. There were lots of people who wanted to make another film – I was saying yes . . . obviously. Especially if it is in Costa Rica! Everyone was really nice to me and I was dragged away here and then dragged away there, so I ended up talking a lot. I also got to hold a frog again – I haven’t held one for aaagggeeesss! It was the Splendid Leaf Frog which is rare (not as critically endangered as the Lemur Frog) and lives in the same place as the Lemur Frog. So when we help the Lemur Frog, we are also helping these little guys too! 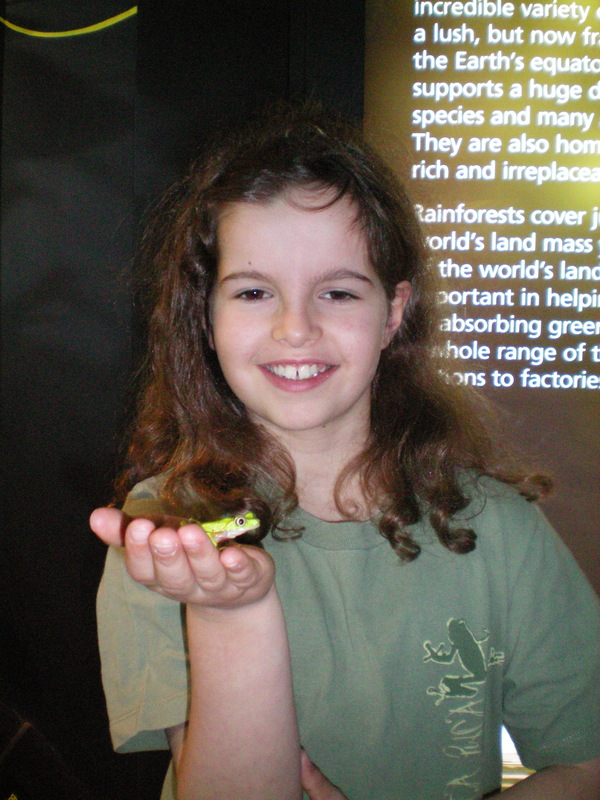 I had a brilliant night and I am really glad that now more children will get to know all about the Lemur Leaf Frog and can think about what they can do to help! After all, it all starts with you!! P.S. It was my Birthday last week. Happy Birthday to me!!! Mum and Dad got me a frog sponsorship as a present so I now have my very own frog at the Vivarium! 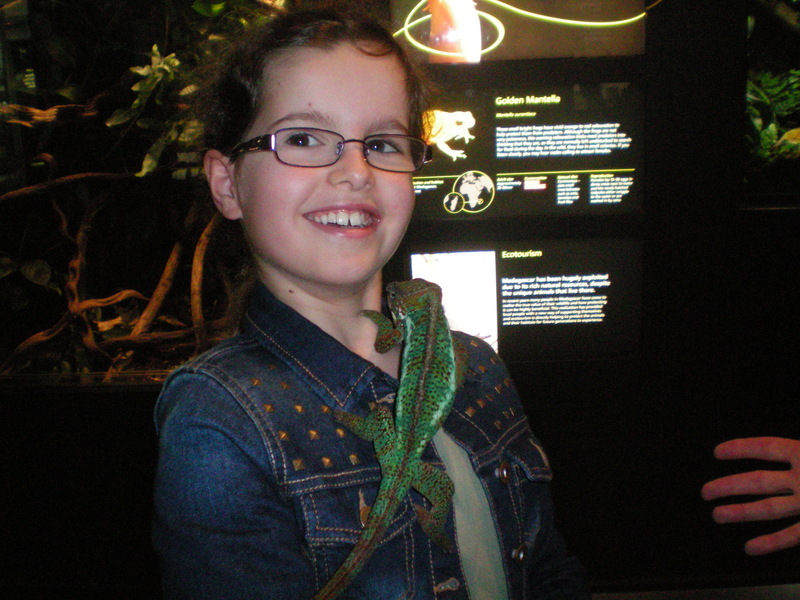 Photo-shoot at the Vivarium, and someone with a very long tongue! Getting closer to the launch date! It is so exciting! Met Alan the photographer who took LOADS of photos of me and the critically endangered Lemur Leaf frog to help with the launch. I also met Professor Amanda Bamford who has played an important role in supporting this project. I’ve never met a Professor before! I’ll keep you posted on what’s happening next! Secret project revealed – coming to a screen near you!! Exciting news on a secret project that I have been working on over the summer at The Vivarium! Andrew, David and I are now a step closer to finishing the project, which is a film about climate change affecting frogs. It has been an interesting and satisfying film to be part of. I wanted to be involved because frogs mean a lot to me and I want people to know that the Lemur Leaf frog might soon become extinct. This is what we’ve been up to . . .
A few weeks ago we visited the University of Salford at MediaCity and went to this room with loads of High Tech stuff to record my voice for the film. David Beswick, a brilliant film maker, had already recorded lots of shots of the rainforest and frogs in Costa Rica, an interview with Andrew, as well as the frogs in the Vivarium in Manchester. So now we needed to record the voice-over. I had to go to a separate sound room to record my voice. I had these huge headphones and a microphone in front of my face and whenever I talked I could hear echoes of my voice and everyone in the other room could hear my voice too! 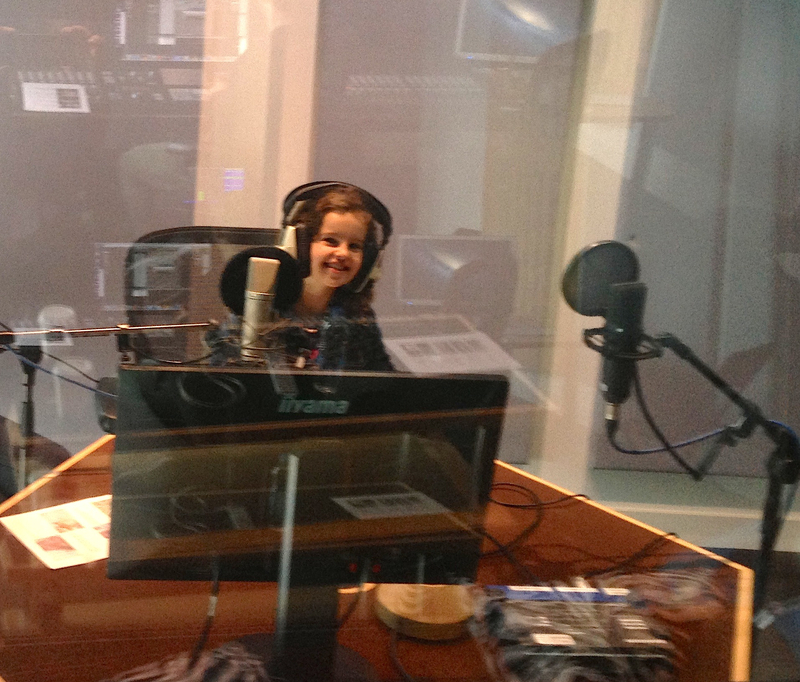 Once we had finished the first script, I then got to record another one, so we ended up in the studio for two hours!!! But I really really enjoyed it and at the very end David asked me if I would like to do another film. It was a yes, obviously!!! My favourite line in the film was the very last line which means a lot to me: “Because after all, it all starts with you!”. You’ll find out why this is so important when you watch this special film!!! I’d like to say a big thank you to Andrew and David for letting me be a part of this fantastic project! Hi me again! This is a photo of me at the Natural History Museum. I was pond-dipping in the wildlife centre. It was about the only thing I had liked at the museum! We found some tadpoles, but we didn’t want to catch them because they looked quite cosy, but we did find some Meal-Worms! YUCK! We found quite a lot of little insects but I’m only going to name a few! 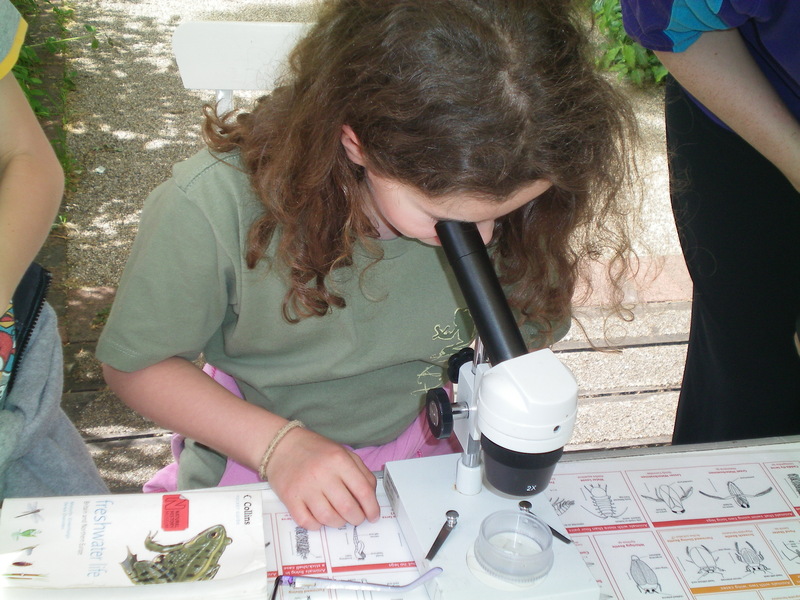 There was the Diving Beetle that was very fast indeed, but we managed to get it to the microscope. We had to look under the microscope because it was so tiny! The next one we looked at was the Waterboatman. It always seemed to do breast stroke but it also swims on its back and has hairs on its two long legs! The next one on my list is the Mayfly nymph. It is a fast swimmer, has wing buds near its eyes, tiny little gills on its body and three tails that are narrow and hairy. Its time to move on to the next one which is the Damselfly nymph. It is kind of the opposite of the mayfly nymph because it is a slow swimmer, has no gills on its body, wing buds on its body instead of gills and three tails that are flat. 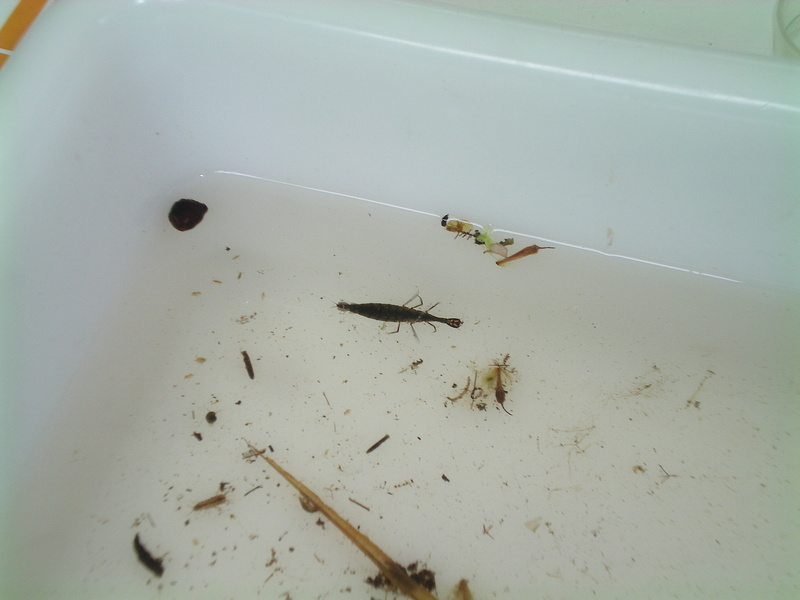 Next was the Caddisfly larvae – now that is a serious case! This living creature is pretty much like a caterpillar in a cocoon although the “cocoon” is made out of sticks and leaves and it lives in water. Next we saw a water louse which is just like a wood louse but it lives in water! Last but certainly not least is the Great Ramshorn- Snail which has a flat coiled shell and two narrow tentacles. My favourite animal is the caddisfly larvae but that doesn’t mean to say I don’t like the other insects! I probably liked pond-dipping more than the actual museum because the animals inside the museum were stuffed not alive. Here’s what’s coming up . . . I will tell you about my fish and how my tadpoles are getting on and about me and Lydia going mini-beast hunting and how it ended up!! This is all to come on my next blog!!! And then there’s the secret project I’m working on – it’s very exciting!! Hi, nice to talk to you again! I have now got 12 tadpoles living in my bedroom. 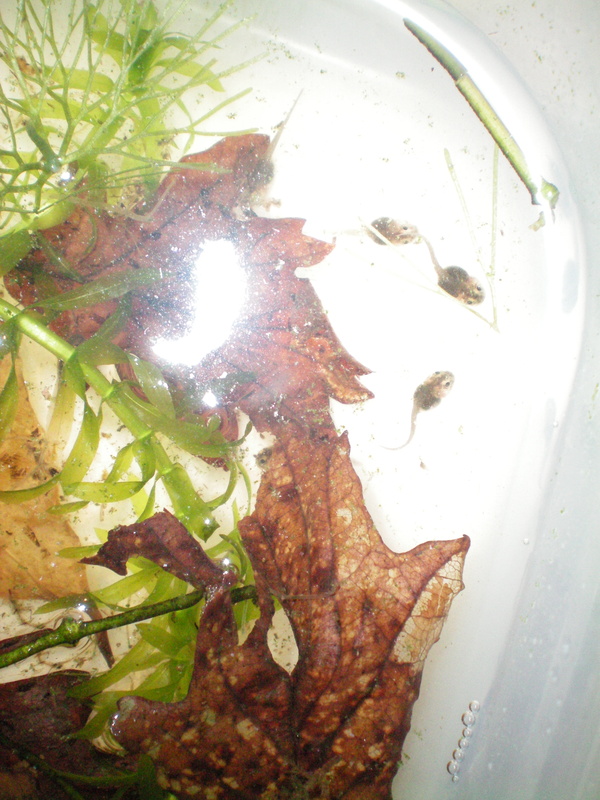 Yes, that does seem crazy, but they are only tadpoles (at the moment) and they can’t jump around. They are now 3 weeks old and are growing bigger. We can really tell the difference since we got them 2 weeks ago. They have got a long tail, a black body and you can see their eyes really clearly. When they wake up, they start to move with their tails and swim around the container. I feed them every night with powdered dried algae – it smells horrible. I would cover your nose!! On one of the tadpoles, I have noticed a dark orange spot starting to appear – I think this is the start of their colour showing. 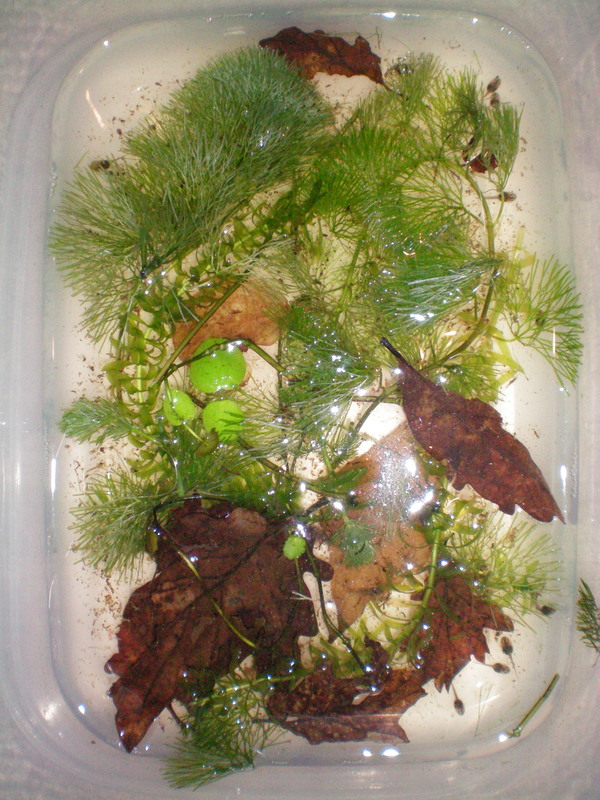 They live in a small container that has pond-weed so that they can swim around and hide. I have found out more about this type of toad from this book: “Keeping Amphibians” by my dear friend Andrew Gray, which I would recommend to any young and old zoologists out there!! In the wild oriental fire-bellied toads are found in China, east Russia and Korea. They are semi-aquatic and are 6cm long when fully grown. They can live for up to 20 years and are carnivorous. Tune in for more instalments when the tadpoles become toadlets! Just a few weeks ago 15 baby chameleons were born and I was lucky enough to hold one. They were born in my good friend Andrew’s house. If you had held one, you wouldn’t have known because it was as light as a feather. The chameleons were brown most of the time because they were mostly on branches but they can change colour so they are camouflaged! It was very small when I held it but Andrew said it was even smaller 1week ago! The babies have now moved to Manchester museum and I am hoping to see them on my next visit – which is only 2 days away! !